Welcome to our third day of Woodland Winter projects. 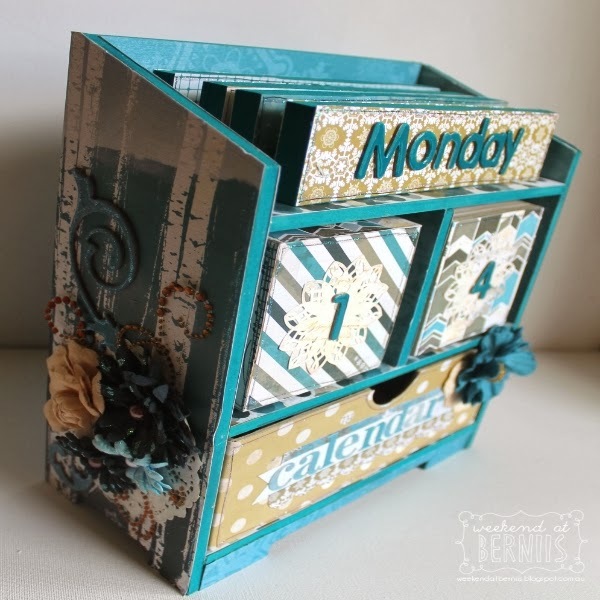 Today, Keri and Bernii have created two amazing Home Decor Projects to share with you. Both of them are sure to warm up any home this winter season. 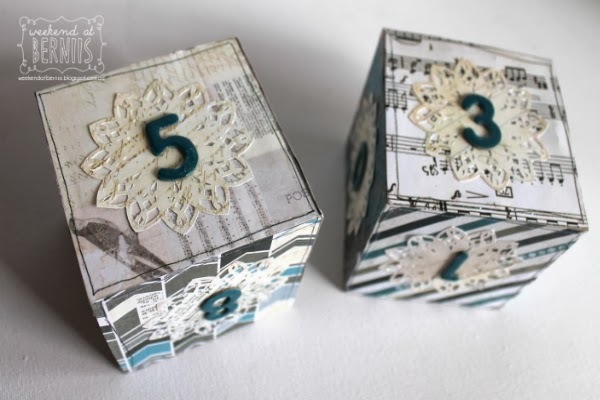 If you enjoy paper crafting and have been looking for some winter Home Decor inspiration, then you have come to the right place! 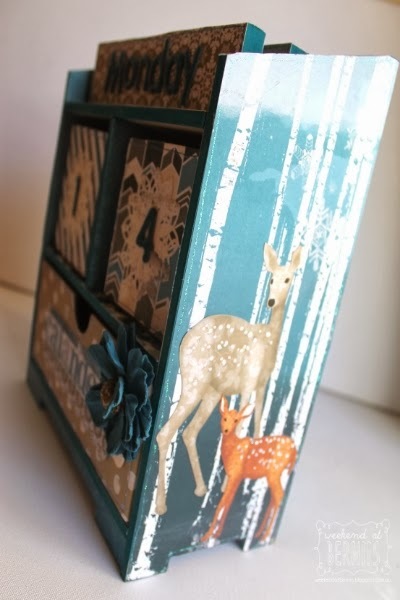 The Woodland Winter collection is perfect for winter decor. 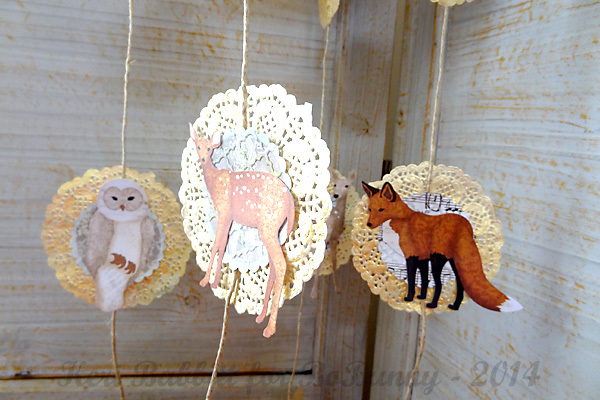 I love the forest animals, the soft colors, and the vintage vibe it has. 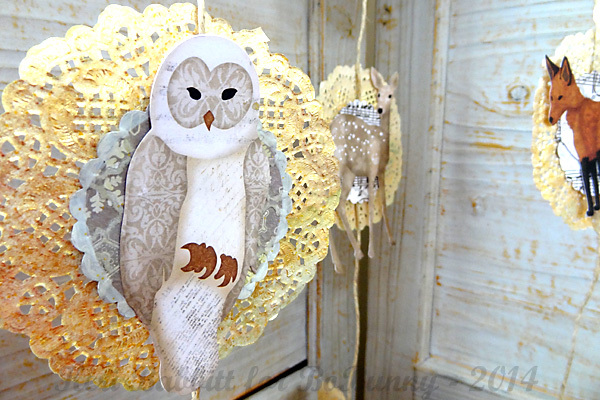 After taking down all the Christmas decor, I wanted to make something neutral but festive, that was winter-themed for the January and February months.This mobile was so simple to make!1. I hung twine around an embroidery hoop, then tightened the screw and glued burlap trim around the edge.2. 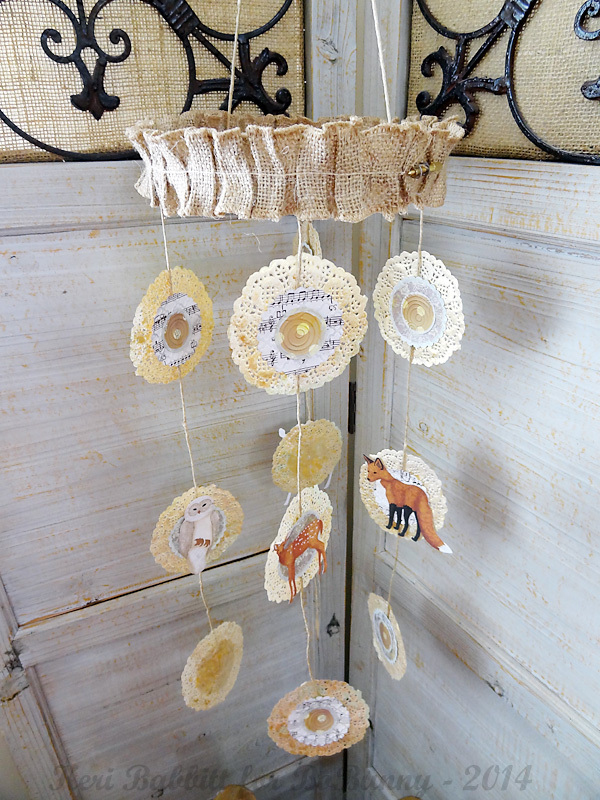 Then I added some gilded/glittered doilies, some paper circles and animal die cuts. 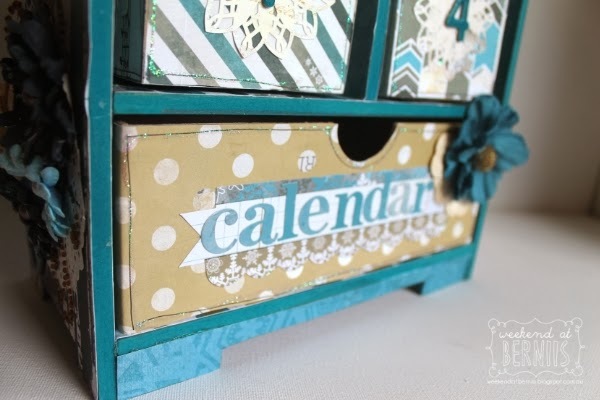 Designer's Tip: Color both sides of the doilies with ink and glitter, so whichever way it rotates, it looks great. 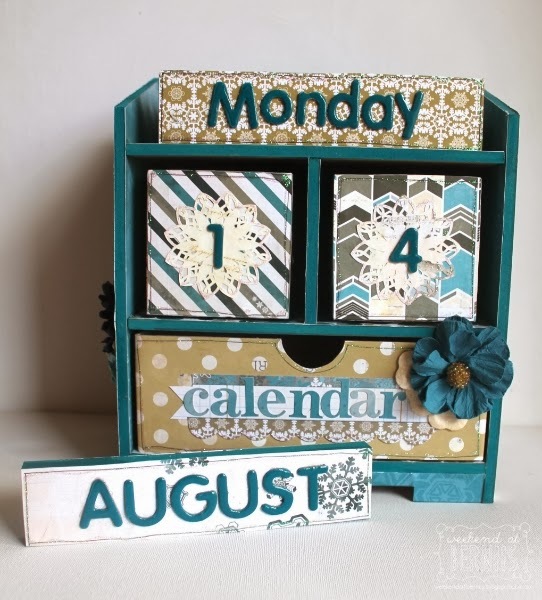 The Winter Woodland Collection was just the right collection for me to use, to create this winter themed calendar that I will be using in my home this coming winter. I am teaching my daughter how to read the days of the week and months, so thought this would be a great addition to our home. She will be able to change the days, the date and even display which winter month it is. I could not pass up decorating the sides of the calendar with some pretty BoBunny blossoms. To add some extra winter sparkle, I added glitter glue to the petals and pen outlines. This project was easy to create and so much fun! This project will be well used in our household and I can not wait to see Abigail's progress over the winter in learning to read the days of the week and the months. Loving the mobile and calendar! What fabulous projects!!! Oh, I just love these! Fab work with these gorgeous papers!